OTTAWA - Retail sales in Canada in December posted their largest one-month drop since April 2010, as the cost to fill your gas tank plunged and holiday shoppers spent less. Statistics Canada said Friday retail sales fell 2.0 per cent compared with November to $42.1 billion in December. That compared with a drop of 0.4 per cent that economists had expected, according to Thomson Reuters. The drop in sales came as sales at gasoline stations fell 7.4 per cent in December due to lower gas prices, while sales at motor vehicle and parts dealers fell one per cent. Excluding motor vehicle and parts dealers, sales were down 2.3 per cent. 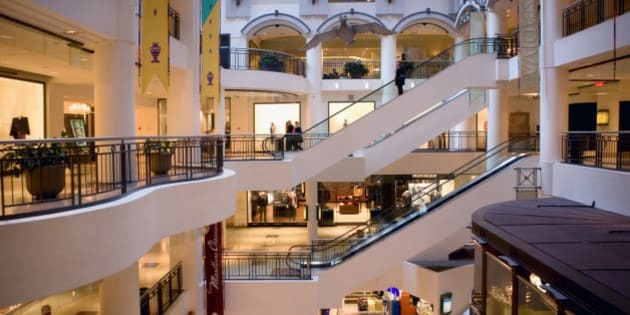 Despite the larger than-expected drop in sales, Bank of Montreal senior economist Benjamin Reitzes cautioned not to jump to conclusions based on the retail sales report. Reitzes noted the rise in popularity of Black Friday sales in Canada has pulled some holiday shopping into November. "There's no denying the breadth and depth of the weakness in the December retail figures, but they come with some big caveats-Black Friday distortion and a huge drop in gasoline prices," Reitzes wrote in a note to clients. "Even with the big drop in retail volumes, real GDP growth for December is poised to come in around 0.3 per cent thanks to big gains in manufacturing and wholesale activity." Excluding the effects of price changes, sales in volume terms were down 1.3 per cent. The largest increase in dollar terms came from a 1.0 per cent increase at food and beverage stores due to higher sales at beer, wine and liquor stores, specialty food stores and convenience stores. Statistics Canada said most store types associated with holiday shopping registered weaker sales in December, more than offsetting gains in November. Sales clothing stores were down 6.0 per cent, while shoe stores saw a 9.4 per cent drop in December. Jewellery, luggage and leather goods stores posted a 1.8 per cent gain, the third increase in four months. Meanwhile, sales at electronics and appliance stores were down 9.2 per cent. General merchandise store sales fell 2.0 per cent, led by a 3.9 per cent drop at department stores. Sales at sporting goods, hobby, book and music stores dropped 1.3 per cent. Sales were also down in every province.